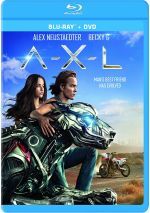 AXL is a top-secret, robotic dog who develops a special friendship with Miles and will go to any length to protect his new companion. Given the massive success of Bohemian Rhapsody, it comes as a surprise that 2018’s AXL tanked at the box office. Shouldn’t a Guns ‘n Roses biopic find a big audience? Wait – the movie isn’t about Axl Rose? Oops! Lame jokes aside, AXL introduces us to motocross racer Miles Hill (Alex Neustaedter). Though his dad Chuck (Thomas Jane) supports him, he also wants his son to put his intelligence to a better use. After a ruthless competitor (Alex MacNicoll) causes Miles to crash, the young driver gets stuck in the middle of nowhere. In this remote location, Miles meets a robotic dog called AXL. An acronym for “Attack, Exploration, Logistics”, AXL was designed for combat purposes, but the mechanoid and Miles bond. This leads to an unusual relationship. “A boy and his dog” offers an old narrative trope, so I guess AXL brings a natural extension of that theme. It doesn’t seem like a massive leap to go to a sci-fi bent with a boy and his robotic dog. Unfortunately for viewers of AXL, I get the feeling the filmmakers came up with the concept and then didn’t bother to flesh out much more. Absolutely nothing about the film feels fresh or creative, so the audience seems likely to experience déjà vu. Heck, the notion of a young man who connects to a mechanical creature can’t even seem original. Even if we ignore older efforts like the bond between Will Robinson and his robotic buddy from Lost in Space, the notion pops up in 2007’s Transformers and its sequels all the way through 2018’s Bumblebee. That said, I can appreciate a well-made movie, even if it uses a well-worn story. Alas, AXL never creates an especially compelling tale. Sure, the movie tries to spice things up at times, but those efforts fail. Instead, the flick follows a predictable narrative that never becomes even vaguely interesting. The human characters feel flat and dull, while AXL himself can’t compensate. Burdened by subpar CG effects, the mechanical dog lacks the convincing presence needed to turn into an engaging role. Much of AXL wanders in search of a real narrative, as it mostly bops from one plot point to another without much meat on the bone. This makes the movie’s 98 minutes move slowly and creates a film that feels a lot longer than it is. Young audiences might like AXL, but I can’t imagine many over the age of 8 will take much from it. Trite, dull and less than coherent, the movie goes nowhere. AXL appears in an aspect ratio of approximately 2.40:1 on this Blu-ray Disc. This became a strong presentation. Sharpness worked fine, with virtually no softness on display. This meant the vast majority of the film was accurate and well-defined. If you suspected AXL would come with the modern standard teal and orange palette, you’ll get what you expected. I’d like to see action flicks dispense with those conceits, but given their restraints, they looked appropriate here. Blacks came across nicely, as dark tones were deep and rich, without any muddiness or problems. In addition, low-light shots gave us smooth, clear visuals. All in all, this became a pleasing presentation. I also felt happy with the solid DTS-HD MA 5.1 soundtrack of AXL. The mix offered plenty of opportunities for lively auditory information, and it took good advantage of these. From the opening AXL escape scene to motocross races to other action elements, the mix filled the speakers on a frequent basis. The track placed information in logical spots and blended all the channels in a smooth, compelling manner. No extras of any sort appear on the disc – not even previews! A stale rehash of Transformers and ET, AXL goes nowhere. The movie lacks any form of creativity and can’t compensate with worthwhile execution. 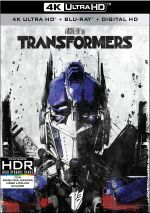 The Blu-ray boasts excellent picture and audio but it lacks any supplements. This becomes a forgettable adventure.